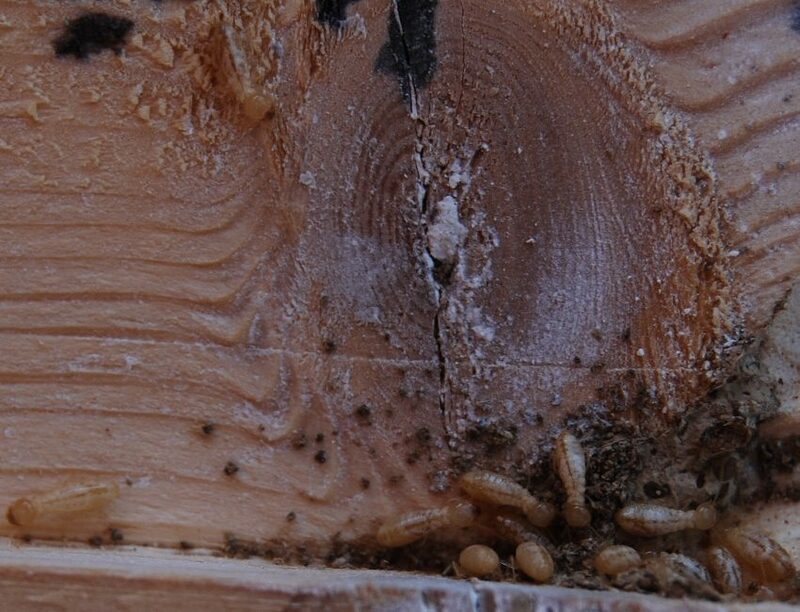 Termites in Spain – a hazard to your bank balance! 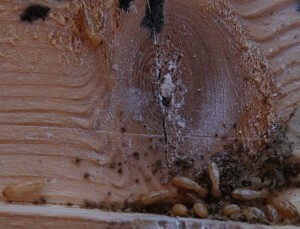 Termites are endemic in this area of Spain and mostly attack door frames. They nest under the ground and find the wood of the frame as it pokes through the building sub floor, into the earth. They are extremely difficult to eradicate. Treating the symptoms with sprays will slow them down, but not kill the nest. Replacing a door frame, especially putting the frame into holes in the tiles into the sub floor – the frame is likely to be attacked in the same way as the old. Consider replacing the frames with aluminium or uPVC, something they cannot eat. If your house is under 10 year guarantee – contact the builder. If an infestation persists, professional help may be needed to inject below the floors with insecticide and eradicate the nest. Beware also of cardboard boxes used as storage in slightly damp cupboards, as they love cartons and damp. Storage of spare tiles in cartons in the garden is also an ideal place for termites to breed. The first symptoms may be the realisation that door frames have been eaten inside out, leaving just the varnish! The worker insects look like small white ants. Sometimes the first sign is a flight of termite “alates”, which are often mistaken for flying ants. 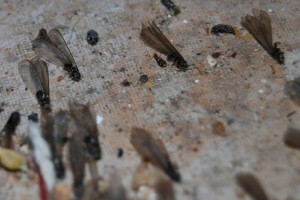 These termite flights commonly occur about early May and again in Autumn. Here in Spain they are mostly reticulitermes There is a very good Spanish website www.termitas.es which I recommend you take a look at. How to tell the difference: flying ants or termites? Termites have equal sized double wings. Ants have a smaller inner wing. Ants have narrow waists and termites have straight waists. Termites have straight antennae, ants have elbowed antennae. For professional help against termites, I have seen this company recommended by others although I have no personal knowledge: SEDESA in Vera, Almería. Contact them through their website.